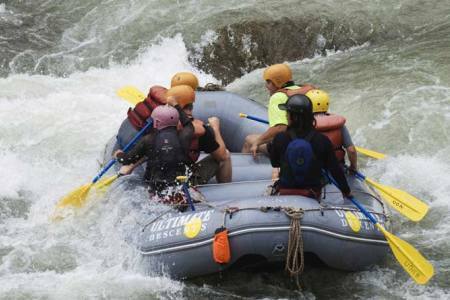 Among the rivers of Nepal, Trishuli River has made its own place in the rafting for its best taste. Gosaikunda Lake is the origins of this river which passes through the different districts of Nepal. Beginners to the experienced, all the people can do this trip without any problems. 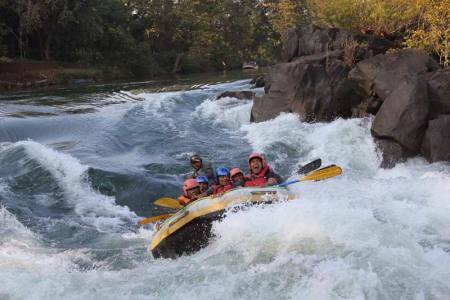 This is not hard river but the thrilling splash will definitely make your adventurous journey. Our professional kayak and their safety arrangements make your time fruitful. 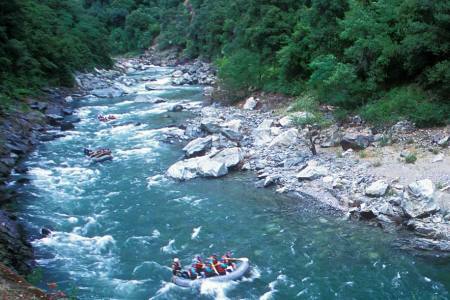 Specially one or two days rafting trip is famous for this river. Besides rafting you can do rock climbing, fishing, kayaking, fishing, jungle trip, swimming, etc. on the way. Day 01Trishuli River-Day 01 Trip:-Drive from Kathmandu to approx 3 hrs to rafting starting point at Charaudi 85 KM. We will hit most exciting couple of rapids like Ladise delight, Upset and other several rapids. Stop for buffet lunch at beach. If you have time you can swimming, village tour, farm house etc. At last we will drop you road site for next destination. 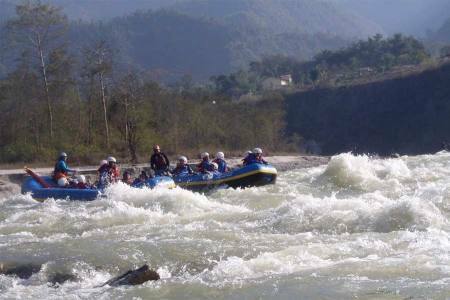 Day 01Trishuli Rafting, 1 N / 2 D Trip:-Drive from Kathmandu to approx 3 hrs to rafting starting point at Charaudi 85 KM. 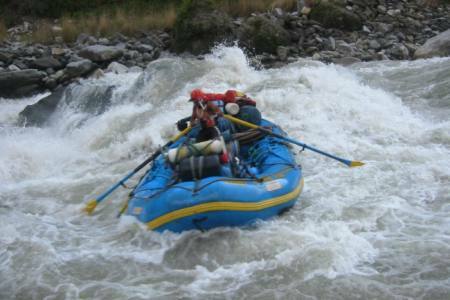 We will hit most exciting couple of rapids like Ladise delight, Upset and other several rapids. Stop for buffet lunch at beach. If you have time you can swimming, village tour, farm house etc. Evening you will be served snacks, camp fire with BBQ, buffet dinner and retire at cottage deluxe tent. Day 02Wakeup call at 7:30 AMTea & breakfast, then walk through the the roadside to catch your bus for onward destination.